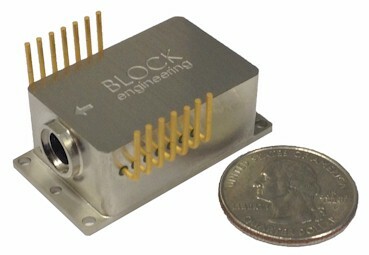 Block Engineering offers the widest gap-free mid-IR laser source available in the marketplace, tuning rapidly from 5.4 to 12.8 microns. 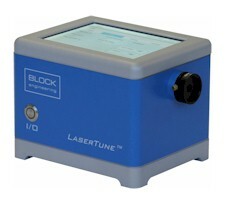 The LaserTune offers extremely fast tuning (settling time < 15 msec), excellent beam pointing stability, and is contained in a compact single-box design. Block also offers lasers for OEM customers to integrate into their own systems. Laser modules are available in 250 cm-1 tuning ranges, and can be combined for gap-free coverage. Many research and academic customers have used the LaserTune to conduct mid-IR experiements. For a list of current publications, you are welcome to visit our QCL research papers page.